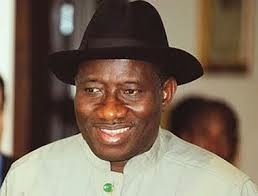 Nigerian Biography: Goodluck Ebele Jonathan - Biography. Goodluck Ebele Jonathan - Biography. Federal Republic of Nigeria. He was born on November 20, 1957 in Finglas, Ogbia Local Government of Area of Bayelsa State, Nigeria to Pa. Ebele Jonathan, a Canoe maker. His earliest education were at St. Stephen's Primary School, and St. Michael's Primary School, both in Otuoke, Bayelsa State. After his primary school, he proceeded to The Mater Dei High School, Imiringi, Delta State, where he had his secondary education. He eventually got admission into the University of Portharcourt where he studied Zoology and graduated with Second Class Upper Division. He furthered his studies at University of Portharcourt and earned himself a Masters Degree (M.Sc.) in Hydrology and Fisheries Biology and later, a Doctorate Degree in Zoology. At various stages of his life, Jonathan served Nigeria in various capacities; he worked with the Customs and Excise Department as a Preventive Officer, as a teacher in a secondary school, as an Inspector of Science Education and thereafter as a lecturer in the University. Apart from civil service, Goodluck Jonathan also served as a public officer in various capacities such as Assistant Director (Ecology) of the defunct Oil Mineral Producing Area Development Commission (OMPADEC) in charge of Environmental Protection, Deputy Governor of Bayelsa State from May 29, 1999 until December 12, 2005, Governor of Bayelsa State, Vice President and President of the Federal Republic of Nigeria until 2015. Goodluck Jonathan is happily married to Dame Patience Jonathan and they have two children, Aruabai Jonathan (female) and Ado Aruera Jonathan (male). 'Democracy and Good Governance award by the Nigeria Union of Journalists in 2004. 'Best Performing Governor in Education in the South-South' in 2006. Leadership and Good Governance Merit.